Looking for a bold, tough,big and black watch which cant destroyed fully by military tanker, then Diesel SBA Black Out Watch will be the choice. 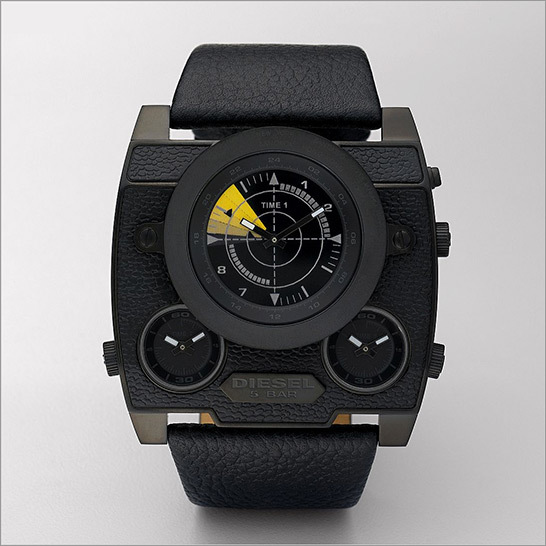 It comes with plenty of analog dials and with unique angled case design to enhance style. It is water resistant to 50 meters deep in water. With dark leather strap and combination of analog and digital display of this watch has set its own rank in all other watches.